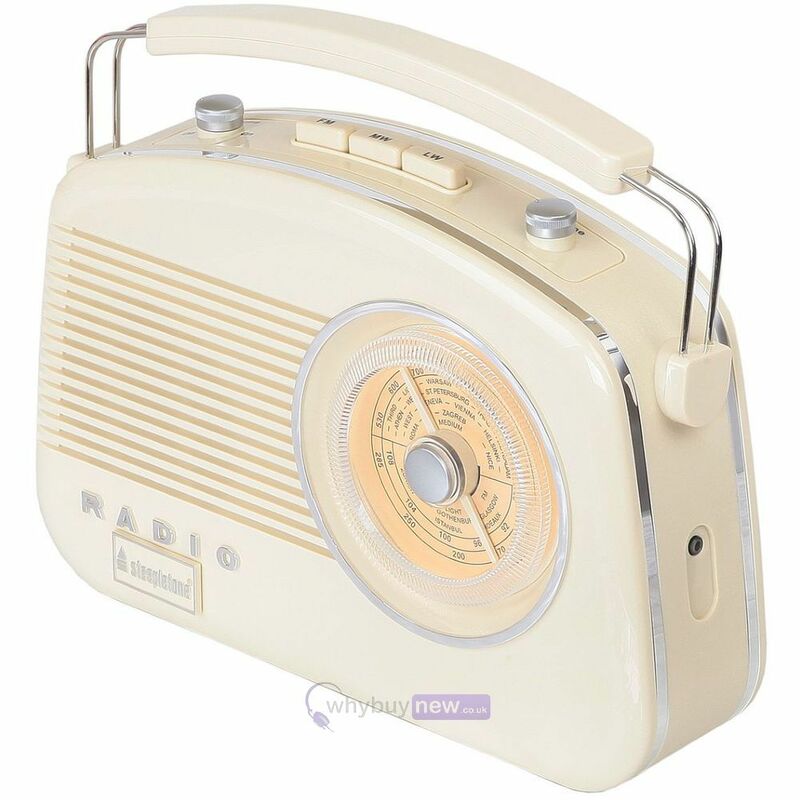 The Steepletone 50's Style Brighton Radio in Cream/Biege is a 1950s retro style portable MW/LW/FM radio. Featuring a strong and stylish carrying handle and an easy to read dial scale with rotary tuning. 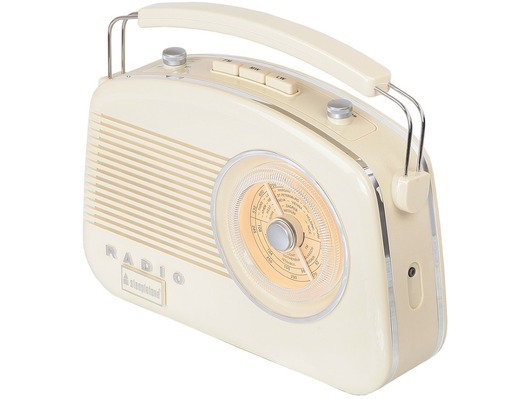 Have a blast from the past with this funky, 1950's style portable radio from Steepletone. Offering up not only seriously cool style but functionality too, the brighton radio features a large rotary dial on the face of the unit and a telescopic arial for FM on top, allowing you to tune into your favourite station with ease! On the top of the radio are 3 large buttons, that let you choose which band to search on: FM, MW or LW. Either side of the 3 band buttons are the on/off/volume and tone control dials. Take the Brighton radio with you by grabbing its large carry handle and popping in some batteries, or if you want to keep the radio at home, just plug it into the mains via the supplied AC power cable. So if your looking for a stylish radio that you can take out and about with you, look to the Steepletone Brighton radio in Beige!